Borany’s story is the personal story of Borany Kanal and her family, who in the early 1970s were a well-educated middle-class family living in Phnom Penh, the capital of Cambodia. In 1975, the communist Khmer Rouge drove all the two-three million residents of Phnom Penh out of the city to begin a new life of severe hardship in the countryside. Borany was 7 years old. On the night of their departure from the city, 35 of Borany’s family met together. Four years later, when Vietnamese forces invaded the country, an estimated two million people had died and only five of Borany’s family were still alive. They made a grueling journey to Thailand, spent a year in a refugee camp there, and eventually began a new life in New Zealand. 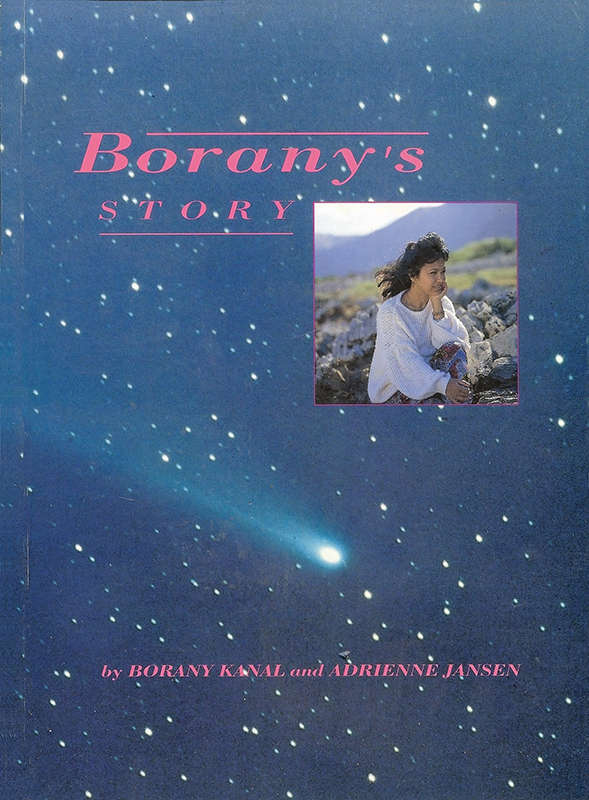 Borany tells her story to Adrienne, in a simple, direct and powerful way. She reflects on her childhood experiences, and the challenges of resettling in New Zealand. Her insights on being a refugee, and on New Zealand, have prompted responses from many young ex-refugee students in New Zealand. This book has been used extensively as a resource book in high schools, and excerpts have been frequently reprinted.